Schtuff! You can't get enough! Schtuff! It makes you feel tough! Schtuff! WHAT THE HECK IS IT?? 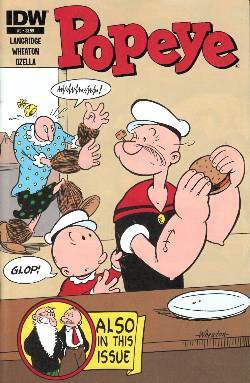 Time for Popeye and the gang to take a trip to Goon Island to take on that ol' stinker, Bluto - and for Alice the Goon to go native! PLUS: More nuttiness with Sappo and Wotasnozzle!